Kuala Lumpur or KL is more than just shopping malls, tall buildings, luxury goods and cars. 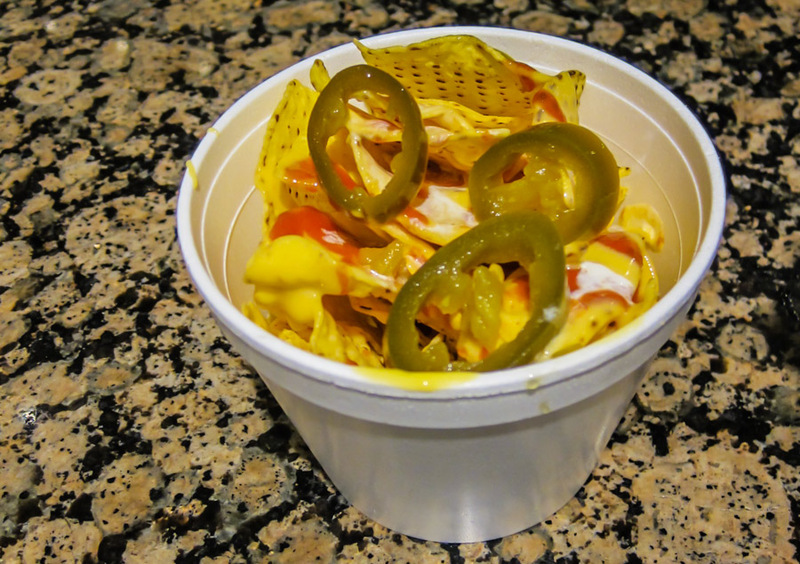 It’s all about the food and some of the best eats aren’t in fancy restaurants, but rather, the best food can be found in food centers and street eats. 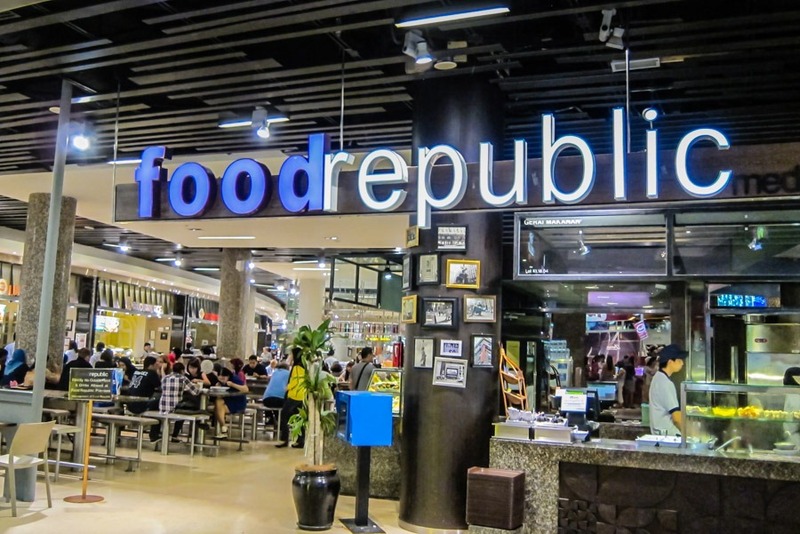 Located in the basement level of Pavilion shopping mall, Food Republic resembles more like American shopping mall food courts than traditional Malaysian hawker street food stalls. It’s definitely catered to tourists with tourist portions and of course tourist prices. That said, I would still recommend it especially if you’re craving a bit of Western. 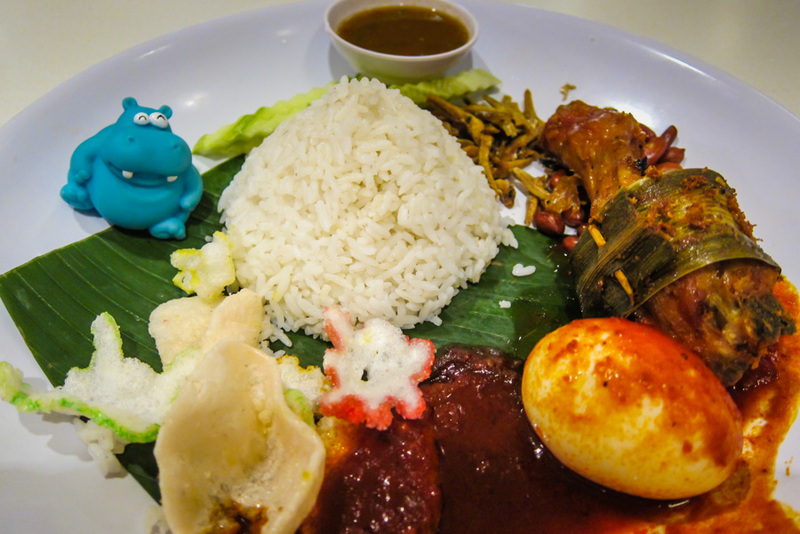 The nasi lemak is pretty Authentic and imagine our excitement when we found a “Mexican” stall and ordered up a teeny tiny bowl of ‘nachos’ which we savored every last bite. 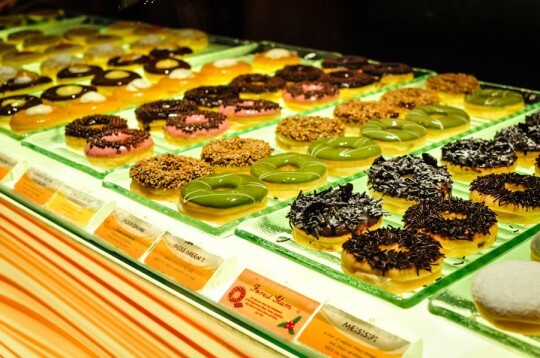 Don’t leave Food Republic without trying J. Co donuts. Arguably the best I’ve ever had. Light and airy, they practically melt in your mouth – they’re so good they made it to our 12 Best Things We Ate in 2012 list. The Al Capone is my favorite. A place we frequently ventured to. Located in Bukit Bintang, it’s where we go to get our our Malaysian food fix. 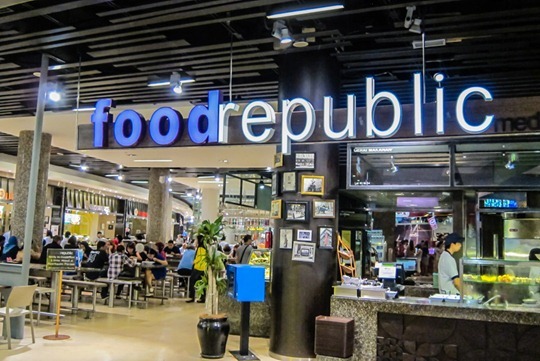 It’s directly across the street from Food Republic, but more casual and hawker-like. Great for those on a budget looking for a great meal. What I love about this place is the layout. 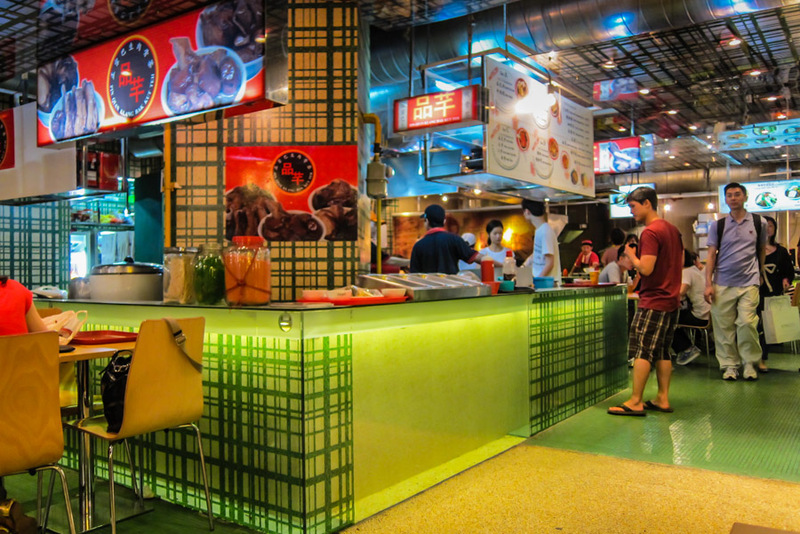 It may look small at first but ends up being a maze of countless stalls serving a wide range of Malaysian cuisine. 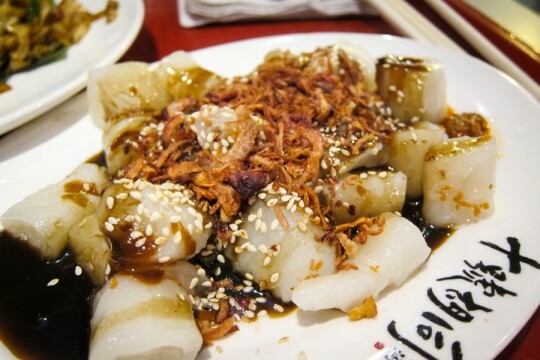 That includes Penang style Zu Cheng Fen, flour noodles with shrimp paste, sesame sauce and fried onions. Apparently popular for breakfast. 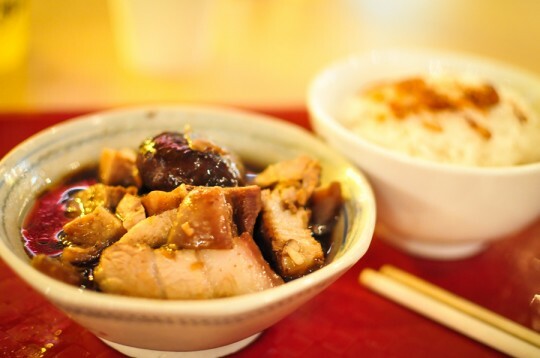 Pin Qian Klang Bak Kut Teh serves sinful spare ribs and braised pork belly. A no frills local experience. 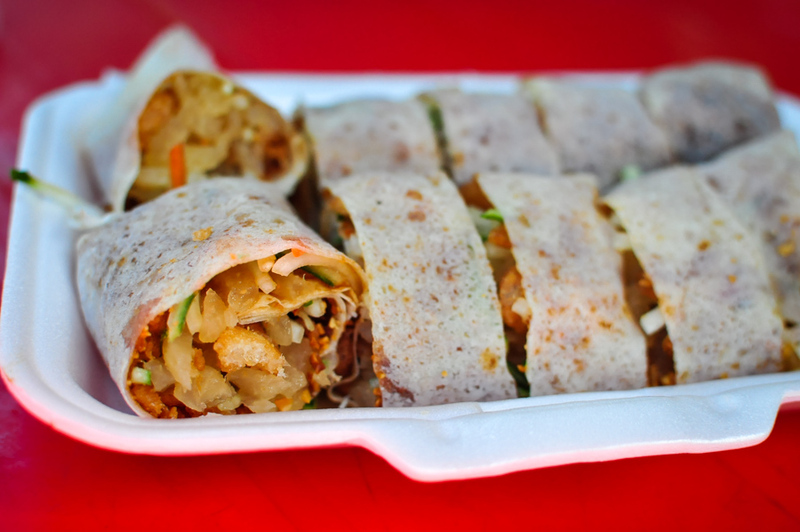 Food stalls located in an outdoor market, here you can try traditional Malaysian dishes like the the breakfast spring rolls known as popiah from Sisters’ Crispy Popiah. It’s savory yet light. We split a plate because we wanted to spare our stomach to try more food. Not sure what it was, we just took a chance. This is Ah Fook Chee Cheong Fun, steamed wide flour noodles with all kinds of fried proteins (from e meats, eggs or tofu that you choose), then drenched in a sweet and spicy sauce. It was pretty delicious and this place in Imbi Market happens to make some of the best in KL. 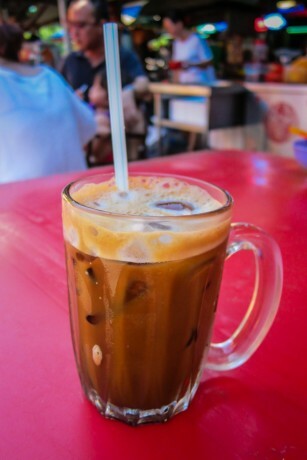 Get the glorious Hainanese coffee at Ah Weng Koh Hainan Tea. You actually can’t physically buy a cup from the stall itself, they’re too busy to serve you there. Instead, you order from the screaming man whose sole purpose is to wander throughout the stalls and taking and delivering orders. 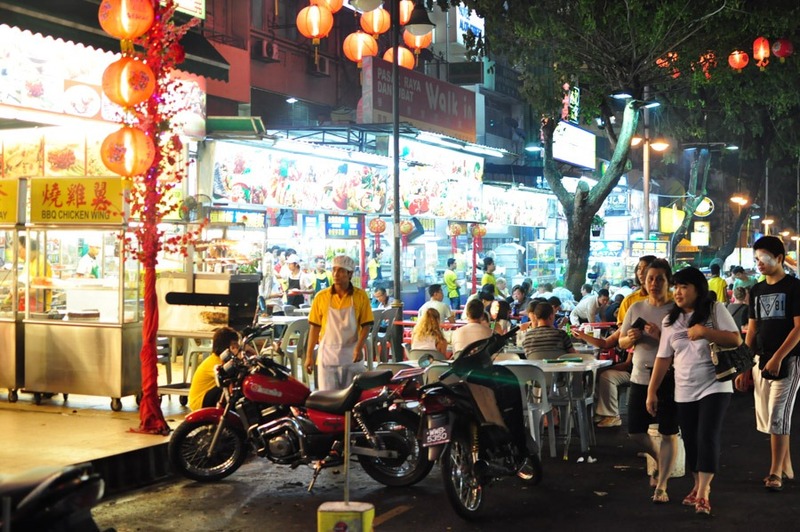 Where locals, tourists and backpackers alike flock to for a late night bite. 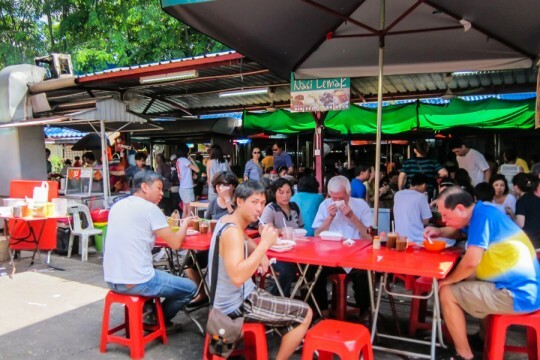 Located in the heart of KL, by day it’s a relatively dormant street, but by night, the street comes alive – restaurants set up tables and chairs outside, street vendors line up their carts and trucks and street performers are plentiful. 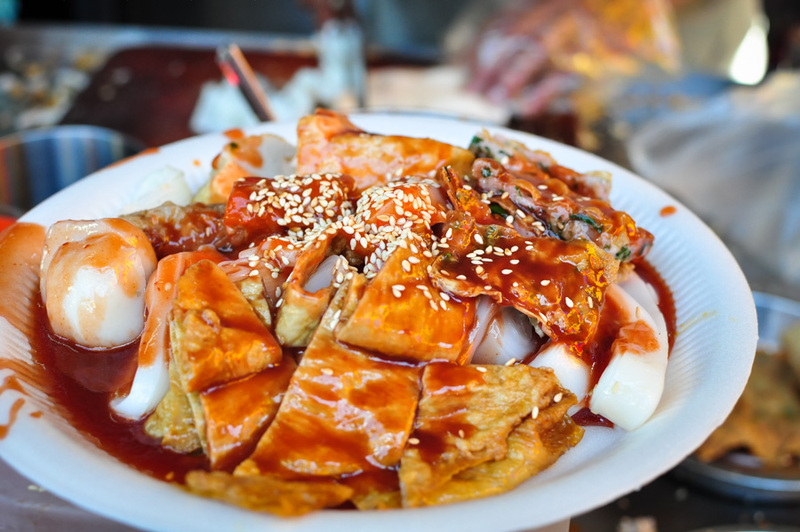 One good thing about big cities is there is never a shortage of great food. And you can count ok KL to offer a wide range of options to suit everyone’s needs. What are your favorite eats in KL? i’ve eaten roast pork for over 30 years all over asia and that is the best i’ve ever had by a mile. Oh man.. Wish we knew beforehand.. Pudu has a huge wet market right? Yum!! I hear so many things about the food in KL. I’m hoping I’ll eventually score a layover there on some international flight and be able to check it out. Oh, that food looks so good. 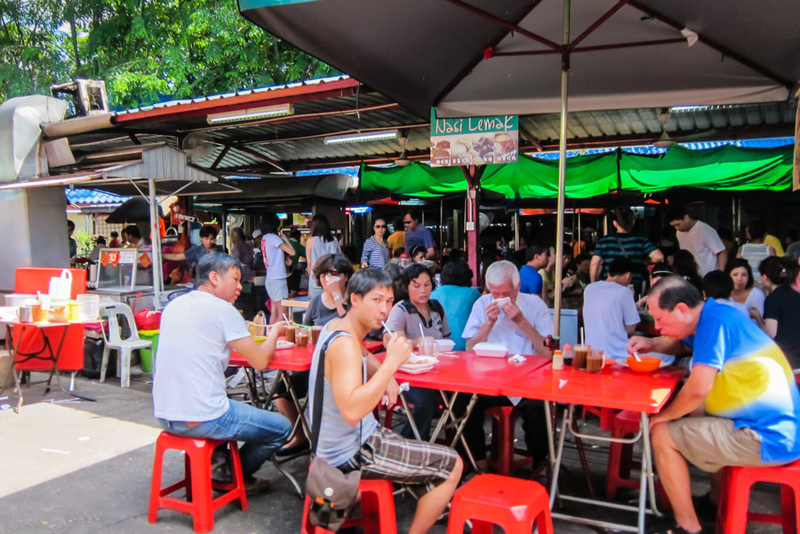 What does Southeast Asia and all its attention on food mean? It means yet another potential lifelong project, worthy of everyone’s undertaking. 🙂 Thanks for your post! Me too! Seriously LOVED all the food stalls in KL! Mmm.. yum yum. Makes me miss home! Thanks for the awesome article. Food looks great on photos – extremely appetizing. Really useful guide for gastronomic tourism newbies.